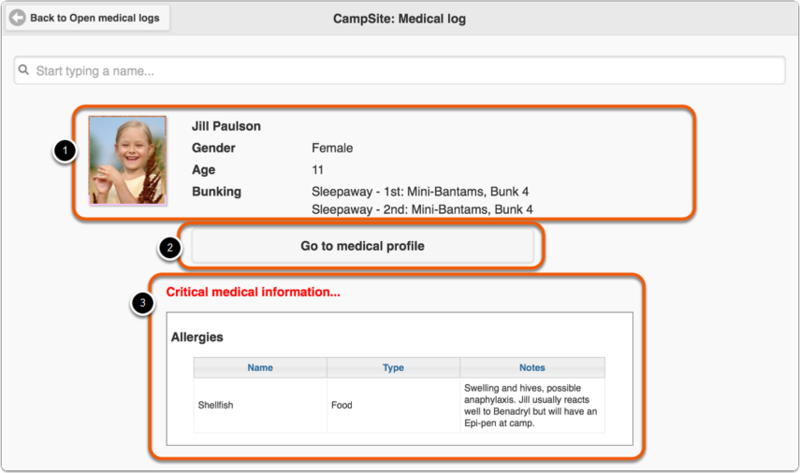 Medical logs allow you to document Camper and Staff visits to the camp health center. 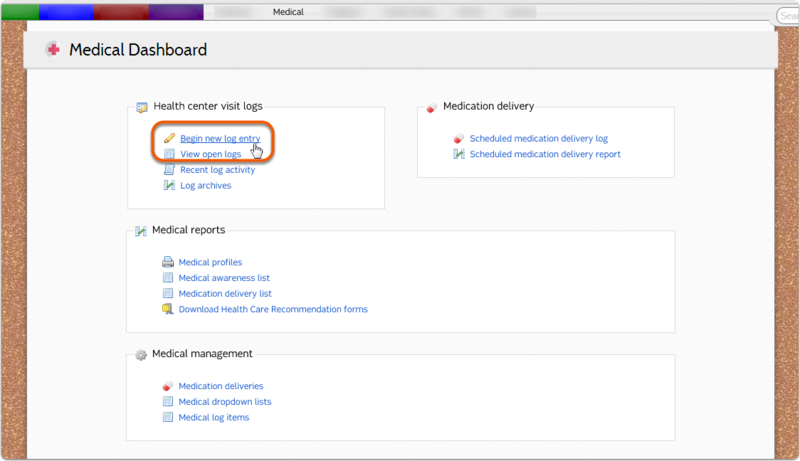 Medical logs can created easily on mobile devices by using preset values managed in Medical Log Items. To create a log entry, select "Begin new log entry" from the Health Center Visit Logs section of the Medical Dashboard. Begin typing the name of the Camper or Staff member for whom you wish to create a log. Results will begin populating after typing a string of three characters. 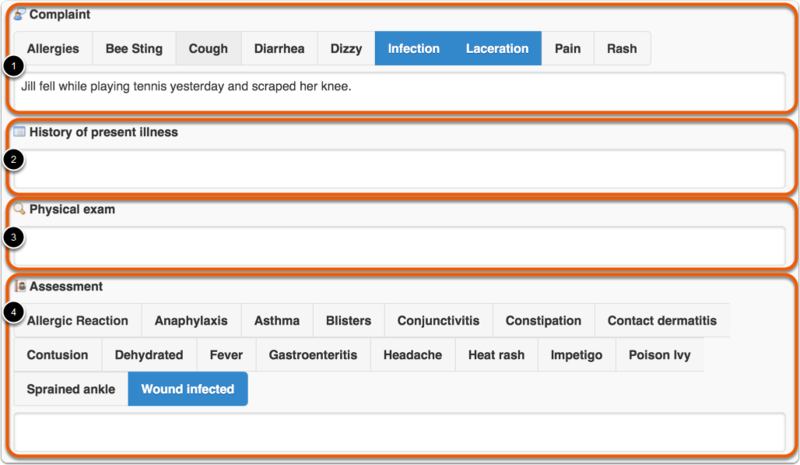 Select the name that matches your search.